Once a year, some of the nation's best black journalists, those aspiring to be journalists and all those in between converge on a city to discuss the politics, coverage (and lack thereof) of African Americans in the news. 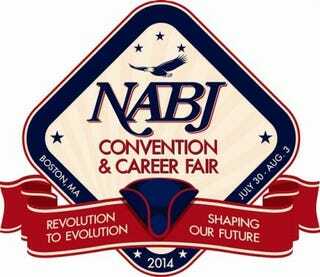 This year, Boston plays host to the 39th annual National Association of Black Journalists Convention & Career Fair. This year's theme, "Revolution to Evolution, Shaping Our Future," could be seen on the convention's website, which requires desktop users to download an app in order to see the day's events. Nevertheless, the five-day convention, which technically kicks off Wednesday but doesn't truly get going until Thursday morning, starts off each day off Zumba for those journalists who like to infuse their bodies with Latin and African rhythms (6:30 a.m.). The convention will host thought-provoking discussions on race, including "Lunch and Learn: A Conversation With Charles Ogletree on Race in America" (Thursday, 11:15 a.m.); "Gatekeepers: Who's in Charge of Checking Racial Stereotyping?" (Friday, 5:15 p.m.); "Covering the Black Woman's Experience" (Friday, 3:30 p.m.); and "Telling Our Story: Keeping the History of African-American Historic Places Alive and in the Spotlight" (Saturday, 9:30 a.m.). The bulk of the panels focus on navigating the balance between technology and journalism. On Thursday Lyne Pitts, managing editor of The Root, will join four other journalists on a panel titled "Black Press: Impact of an Increased Digital Presence" (3:45 p.m.). Other technology-based panels include "Digital Journalism 101: Write, Click, Tweet" (Thursday, 2 p.m.); "Social Media Reporting Tools: Apps, Tech and Tools for Journalists" (Friday, 12:15 p.m.); and "Bloggers, Tweeters and Journalists—What Is the Difference?" (Saturday, 11:15 a.m.). Keeping with NABJ tradition, the event will close with a gospel brunch, and while the performers aren't listed, if history plays any role in the present, this event should be loaded with talent. As the NABJ website notes, past brunch performers have included Donnie McClurkin, Albertina Walker, Cece Winans, Vicki Winans, Take Six, Vanessa Bell Armstrong and Tramaine Hawkins.